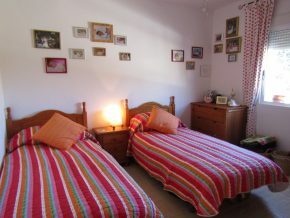 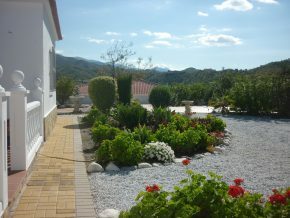 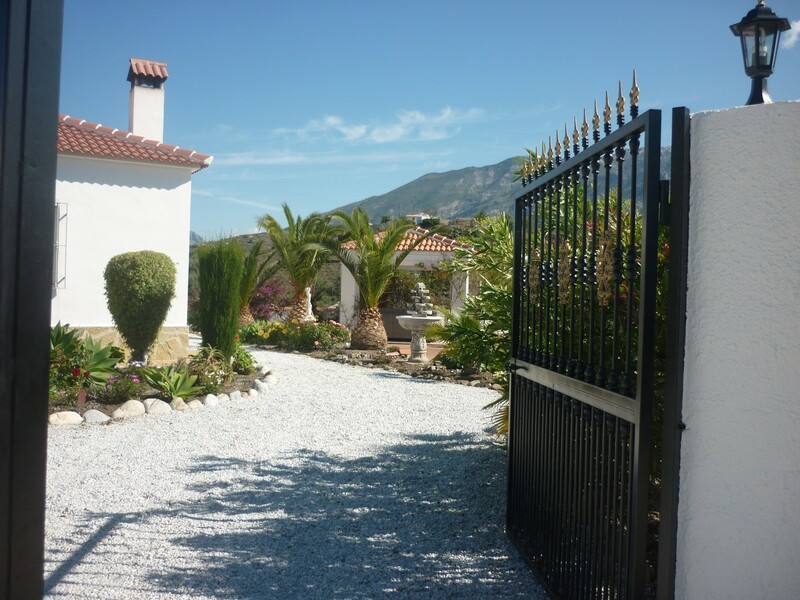 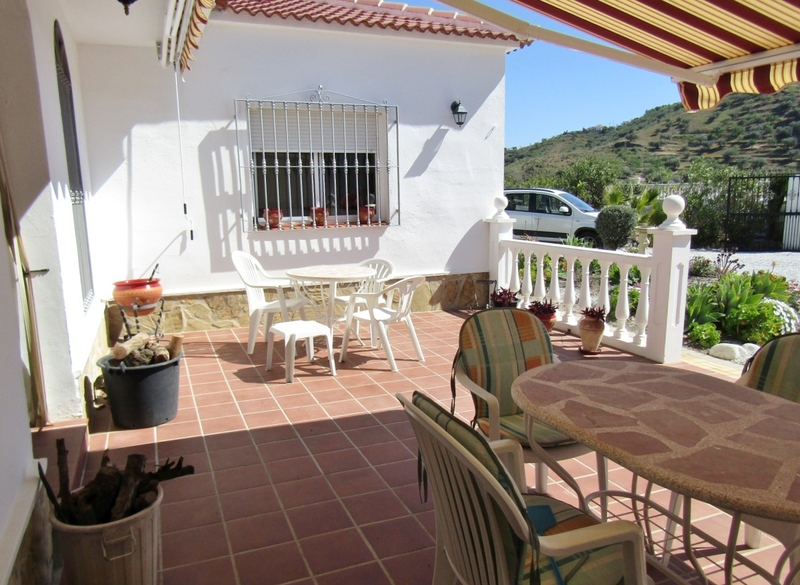 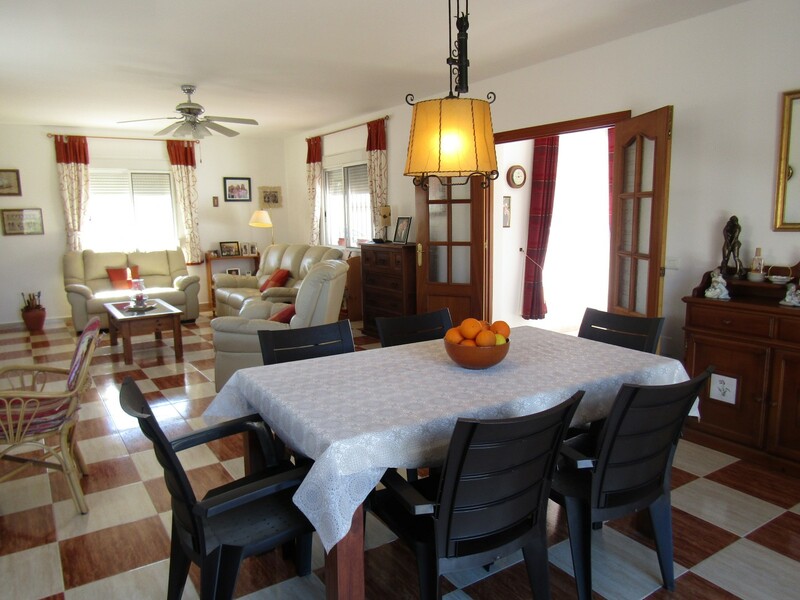 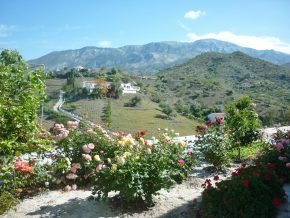 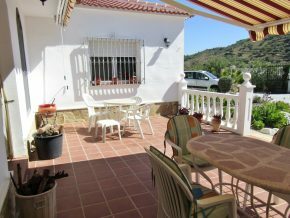 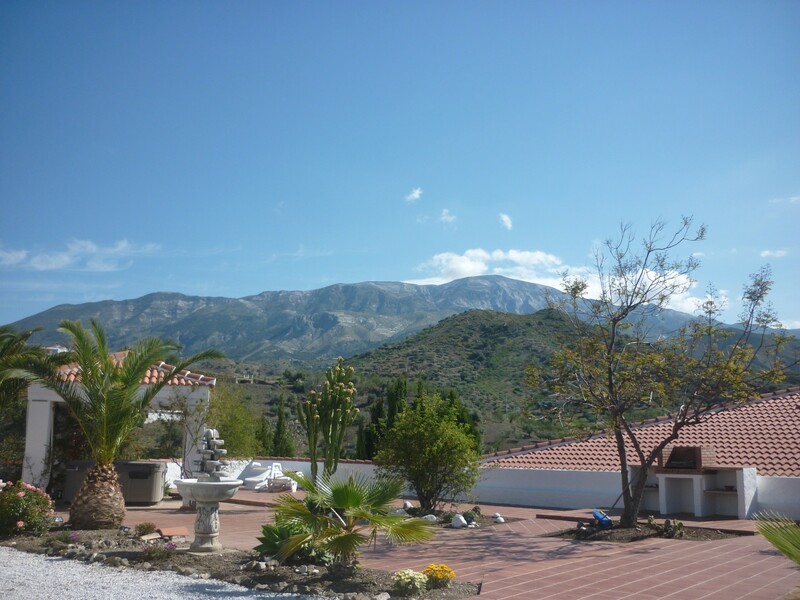 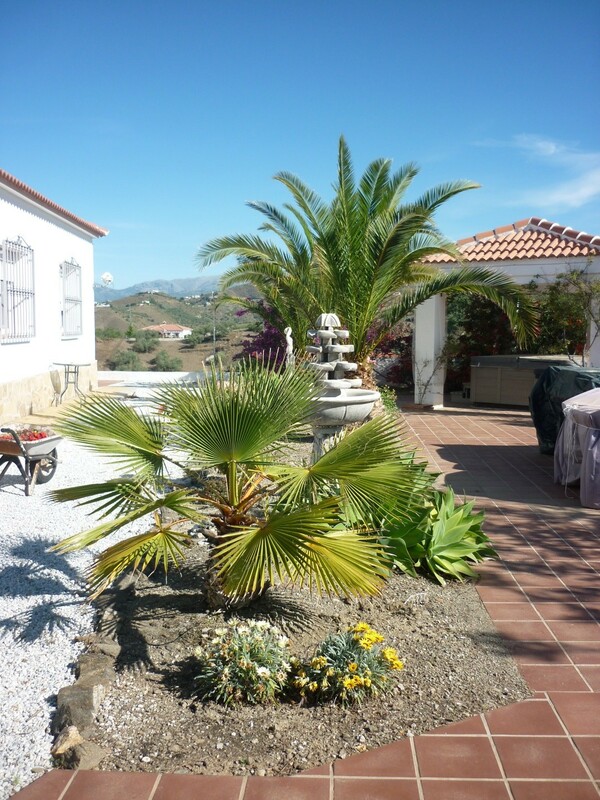 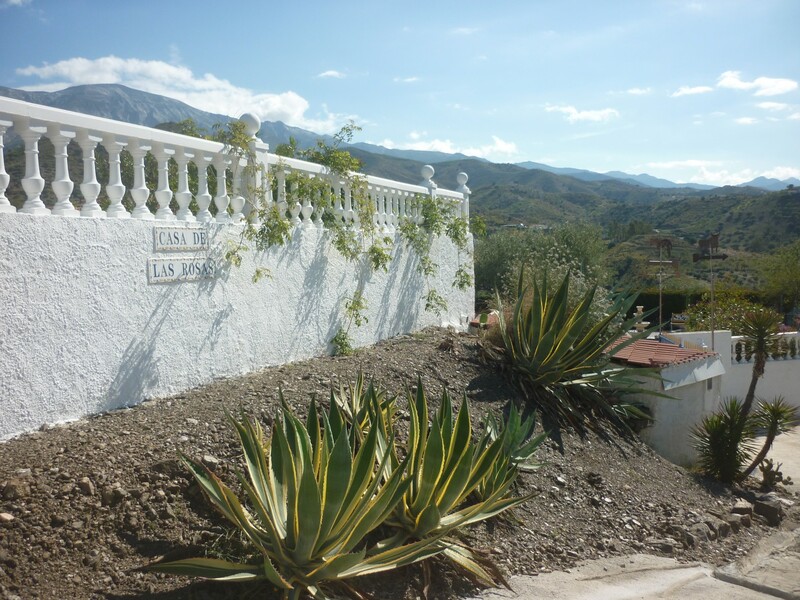 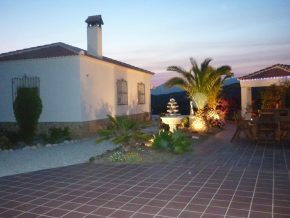 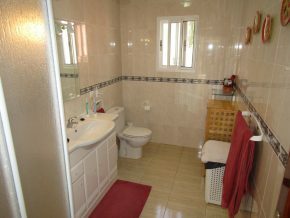 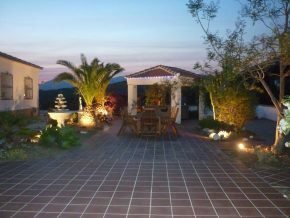 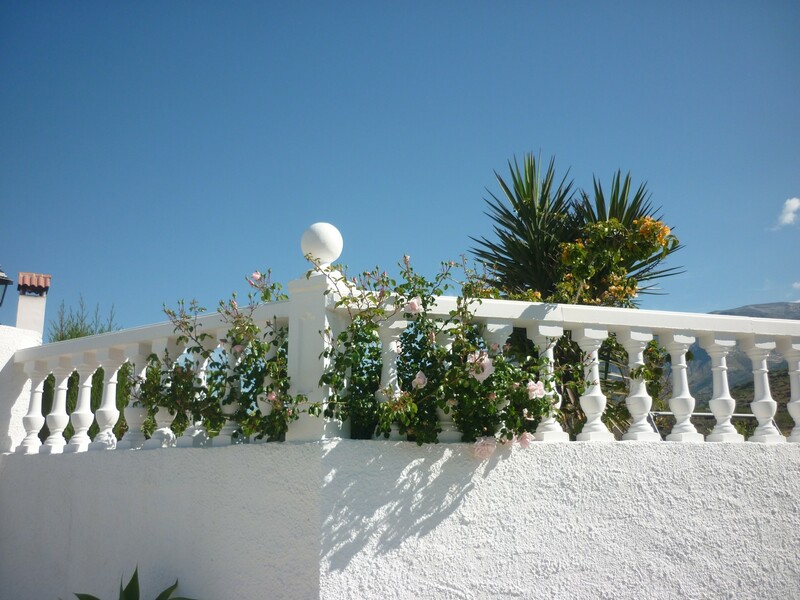 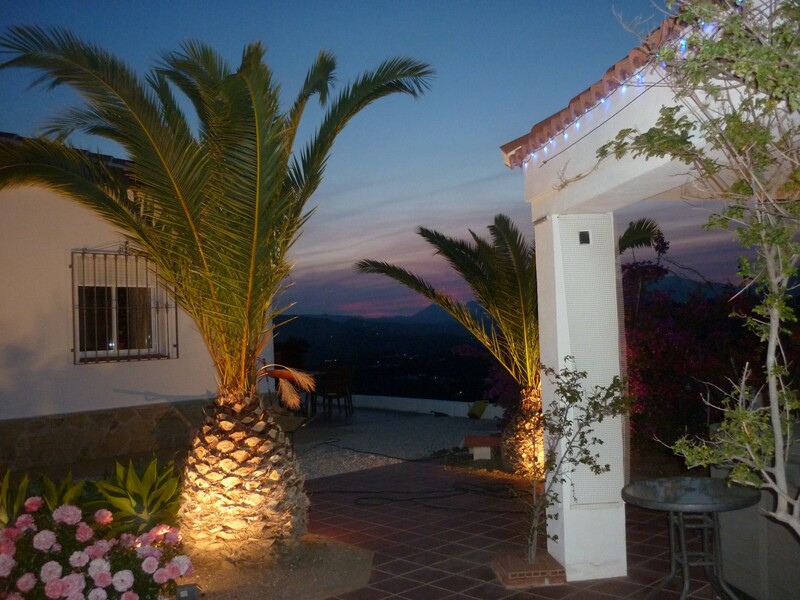 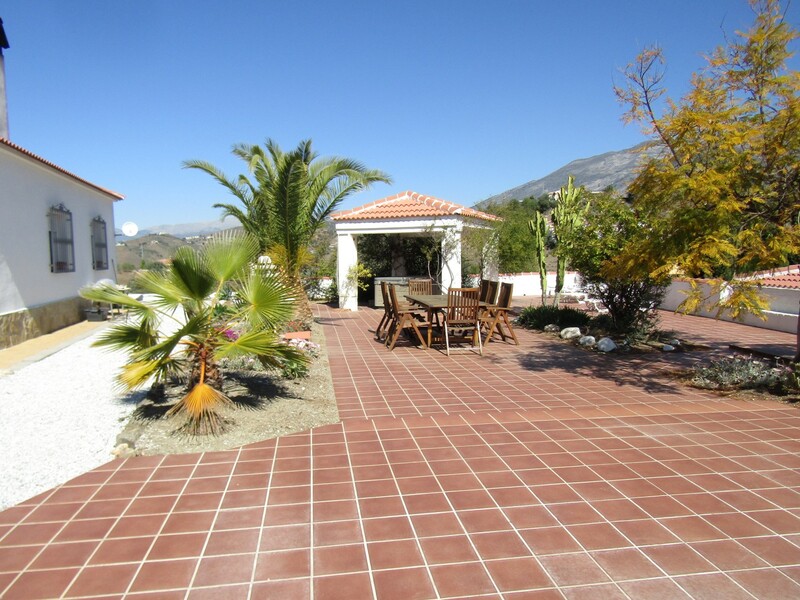 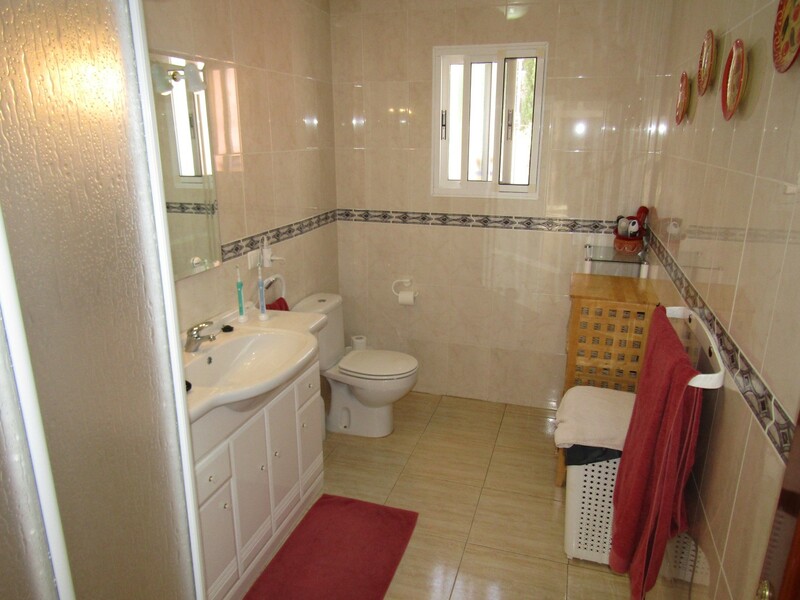 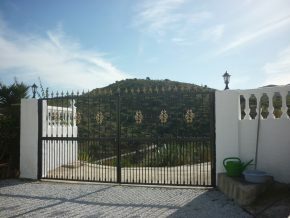 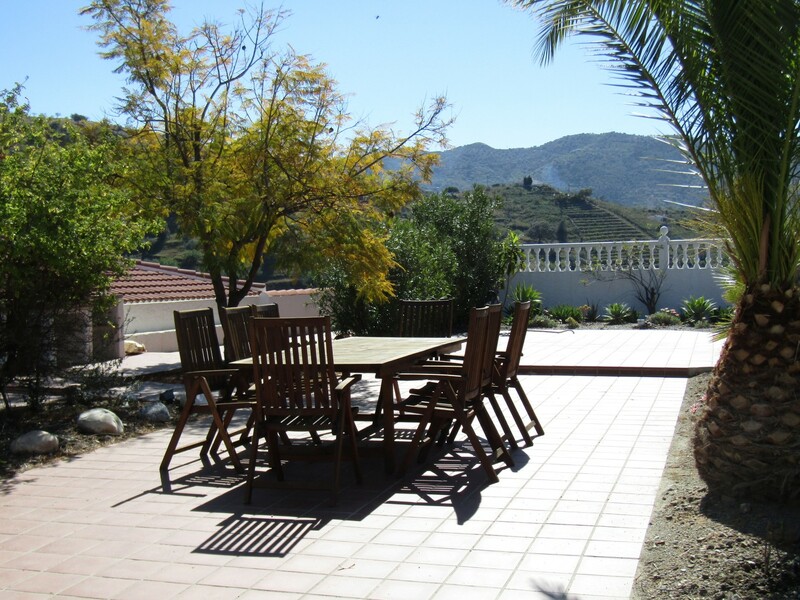 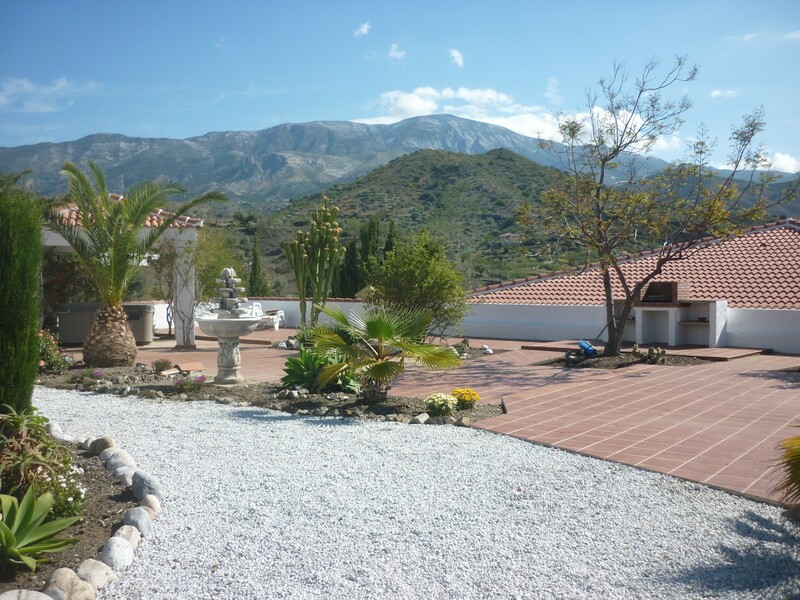 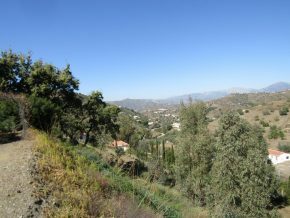 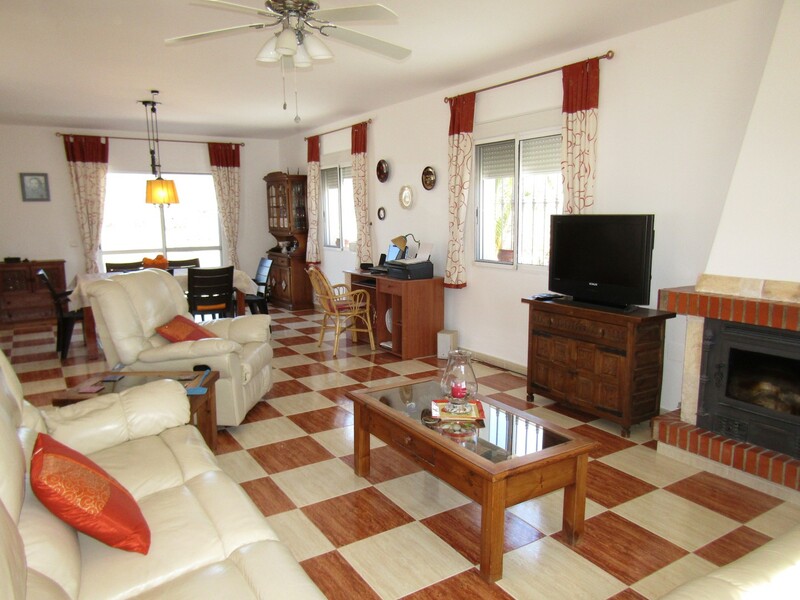 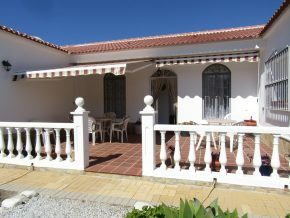 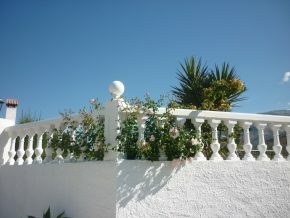 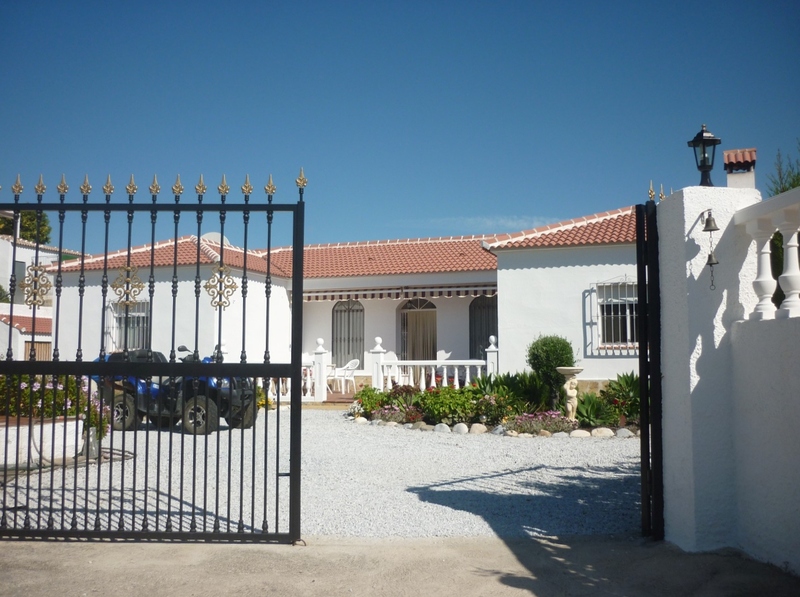 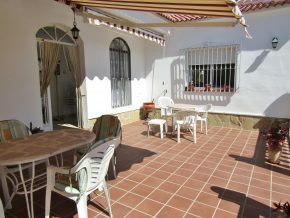 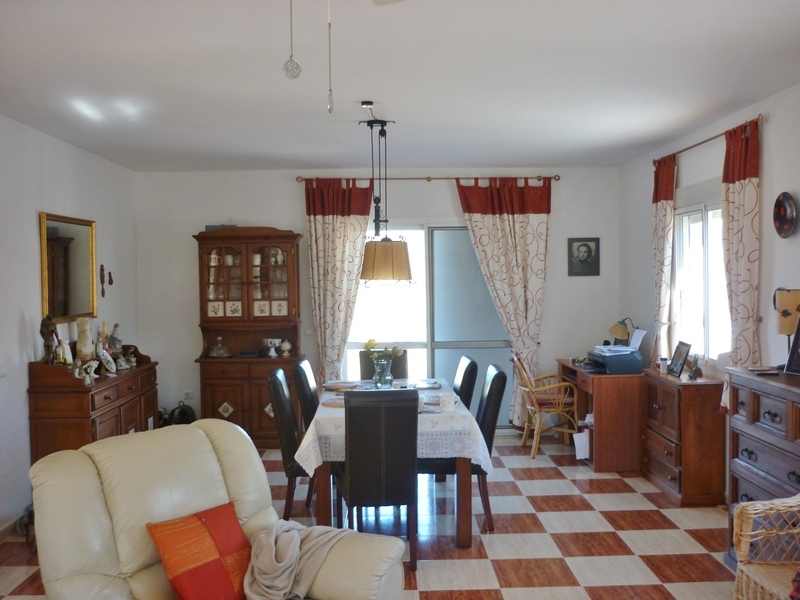 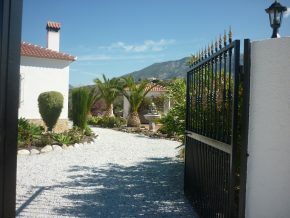 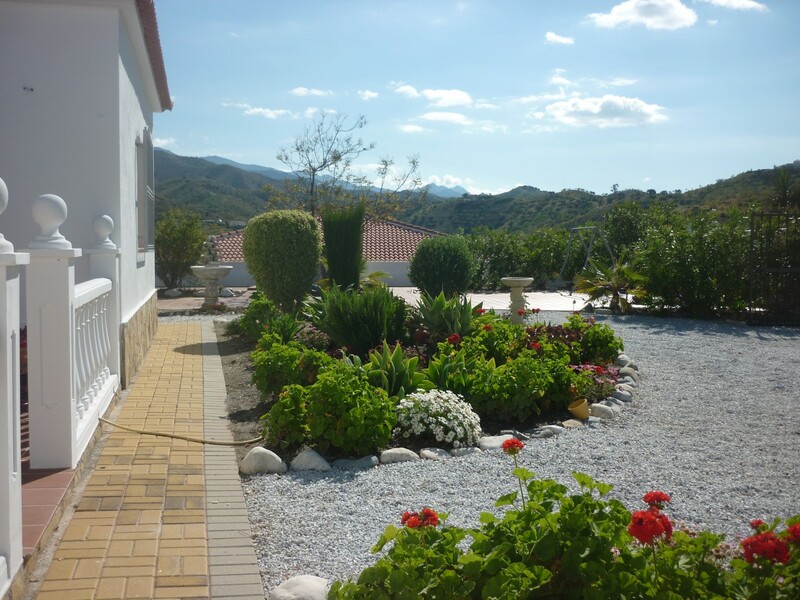 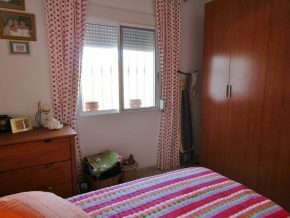 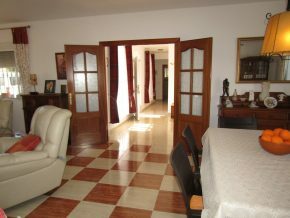 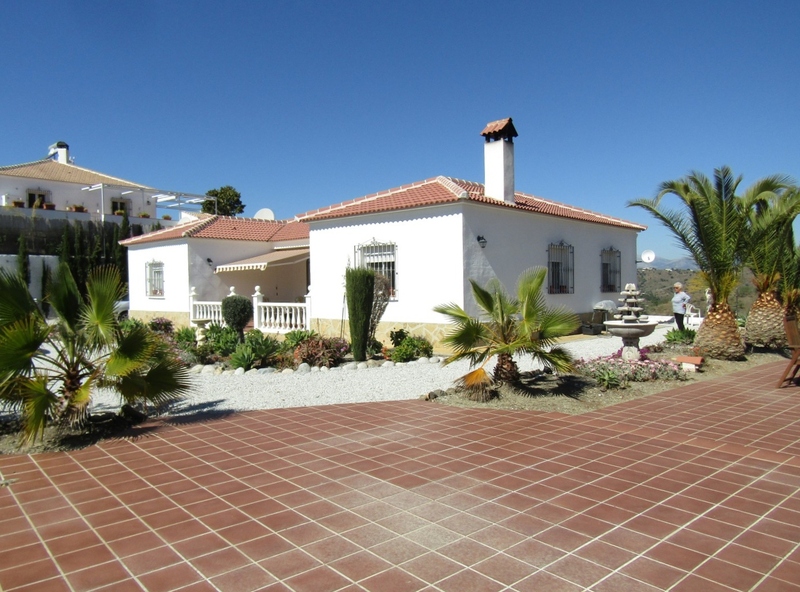 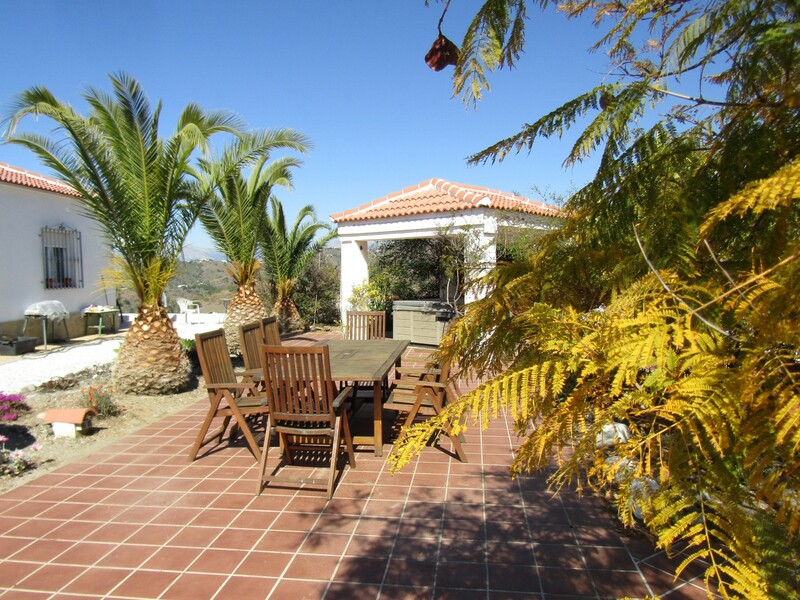 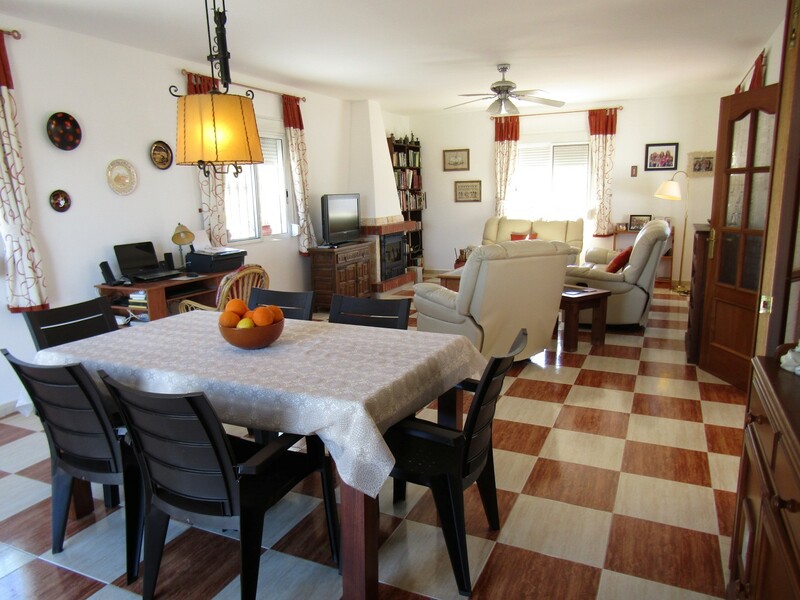 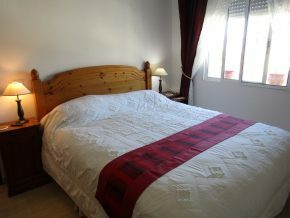 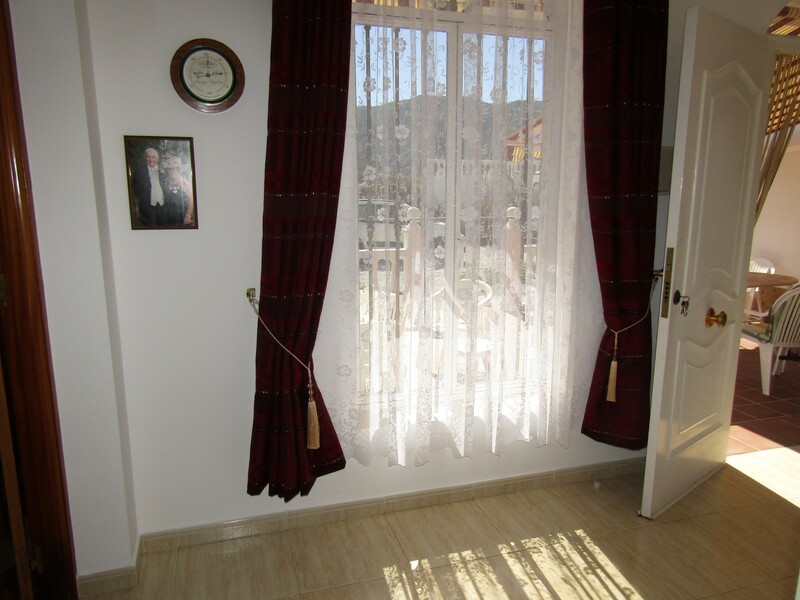 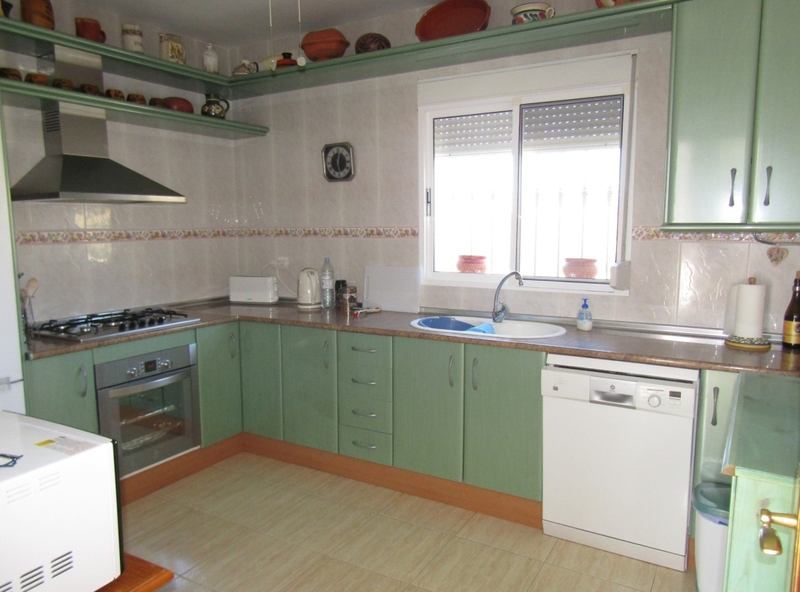 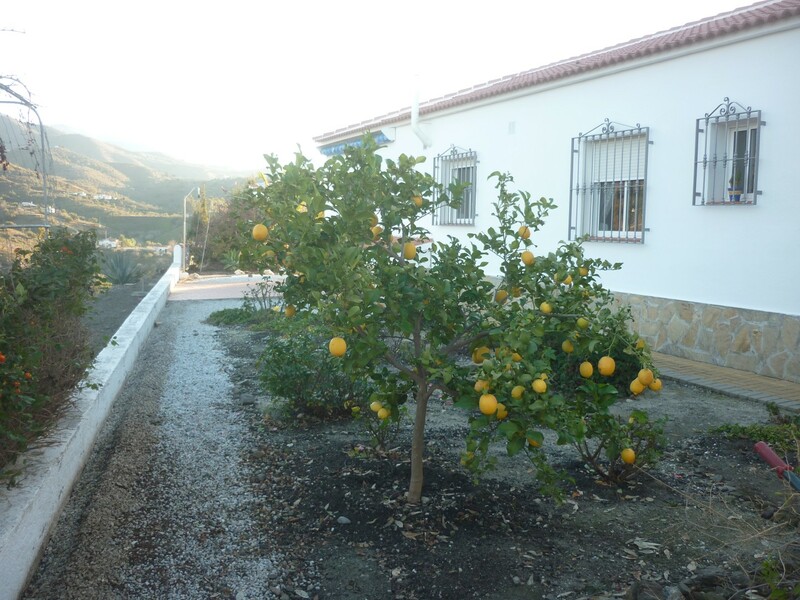 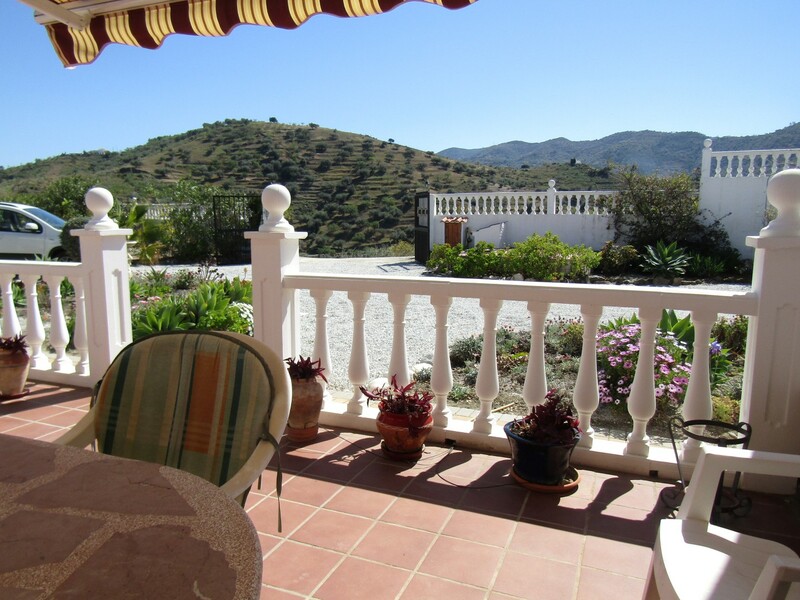 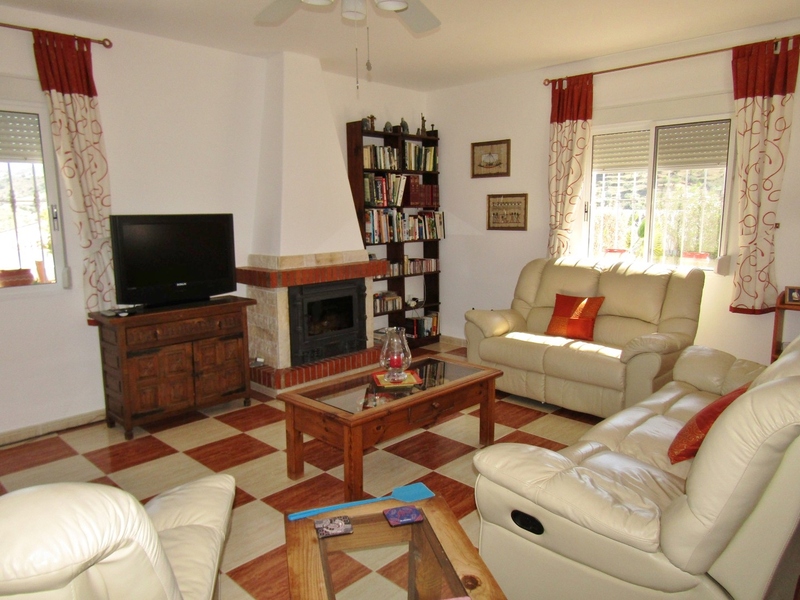 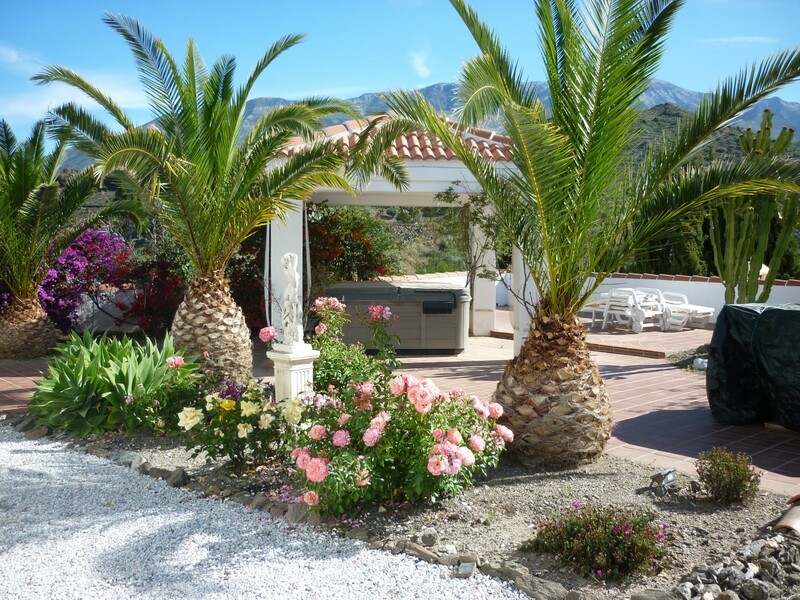 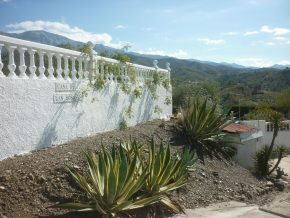 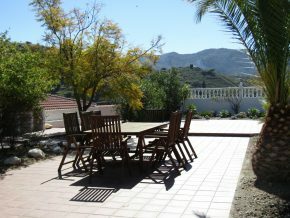 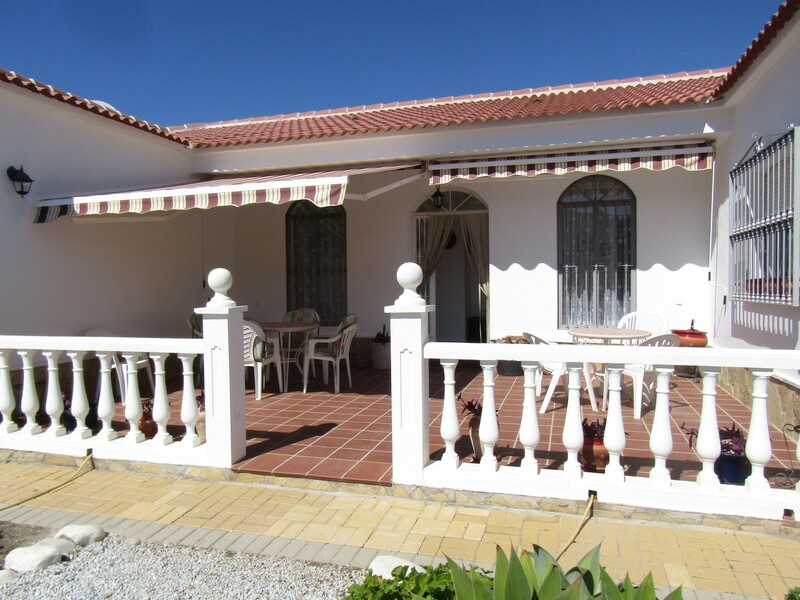 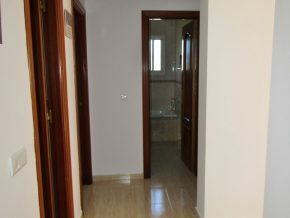 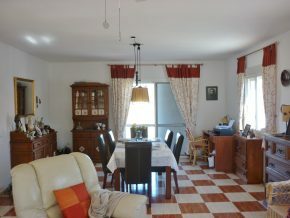 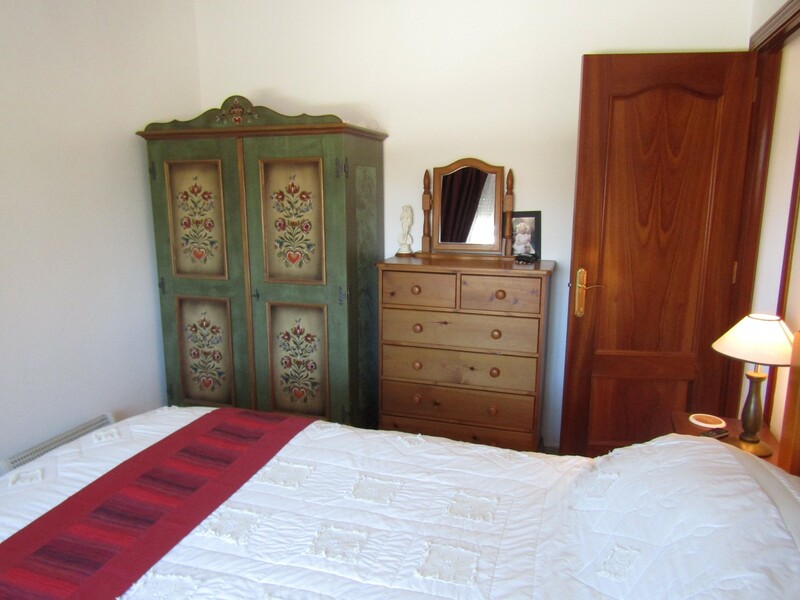 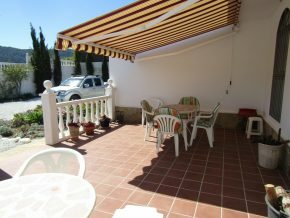 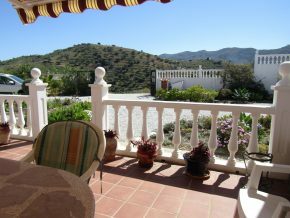 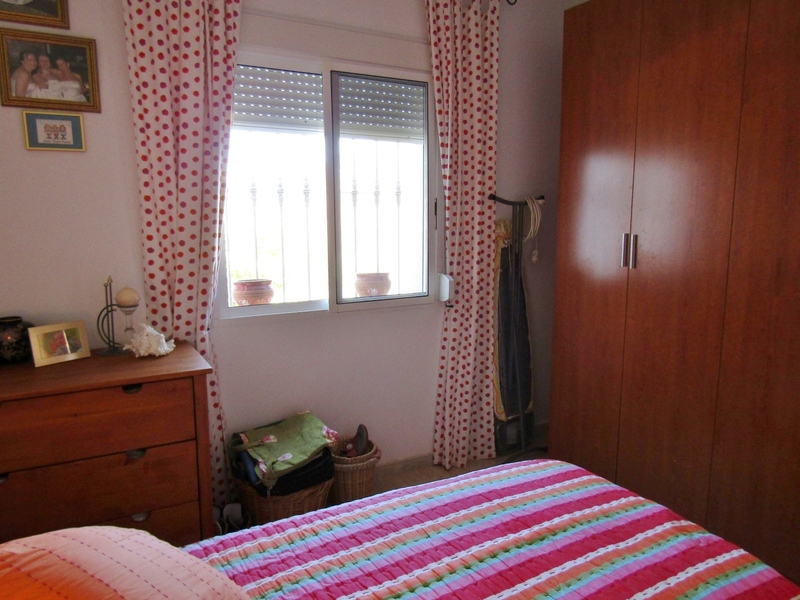 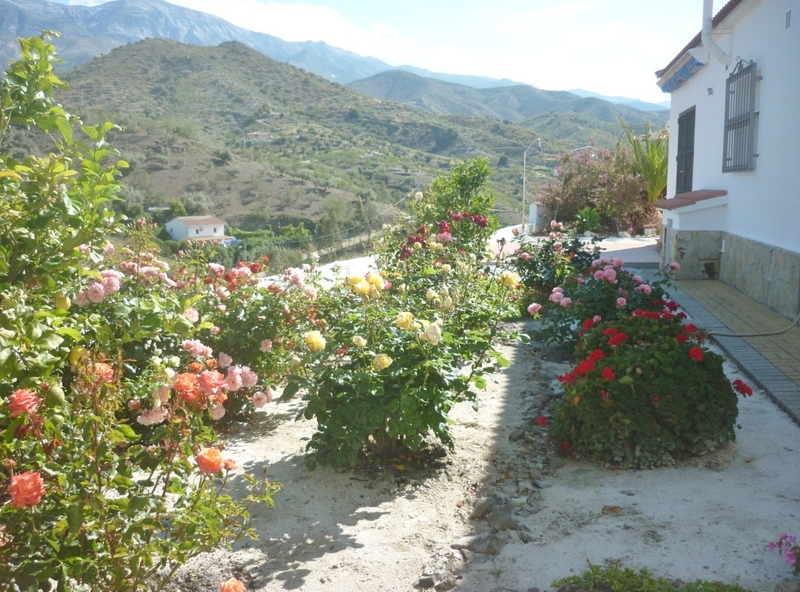 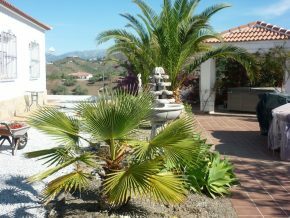 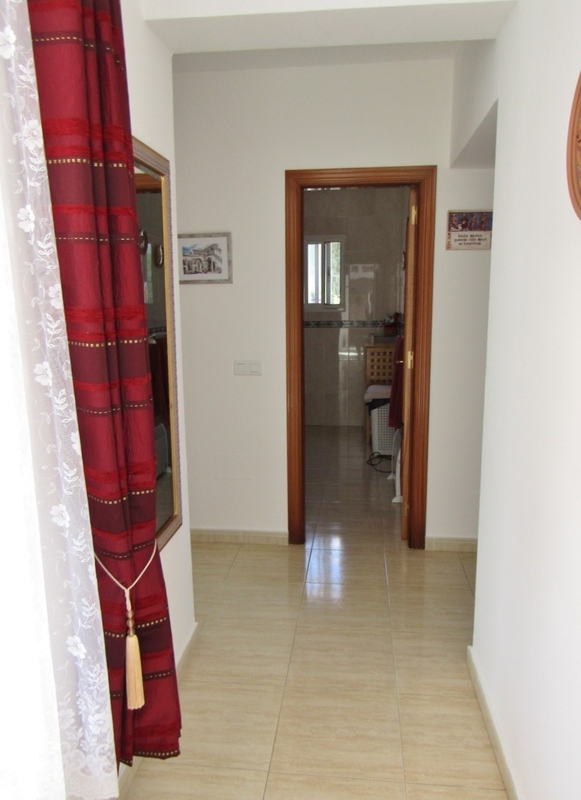 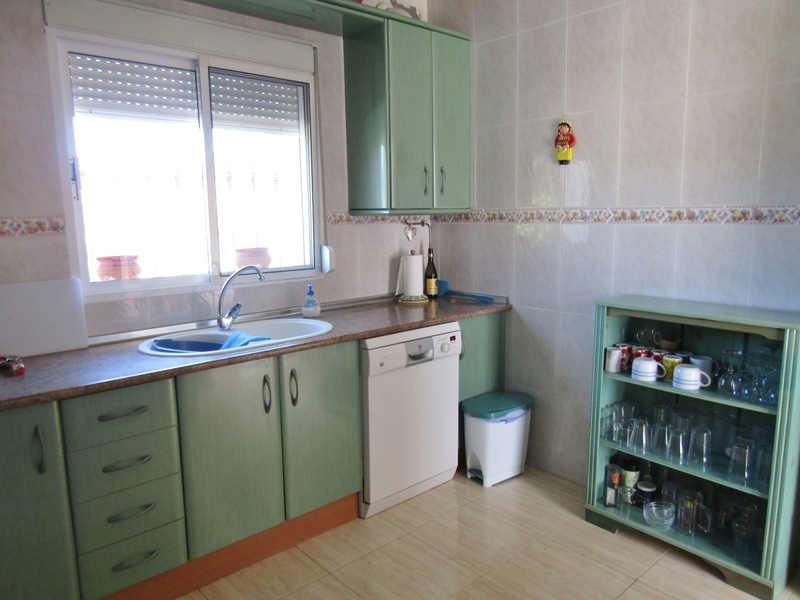 This is a pristine, top quality home with excellent, comfortable internal space in a modern layout, surrounded by flat, well-kept, easy to maintain gardens, with wonderful country and mountain views, close to the hamlet of Rubite and within around 15 minutes of the historic town of Velez-Malaga. 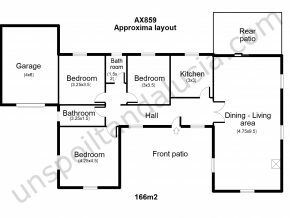 A perfect retirement home. 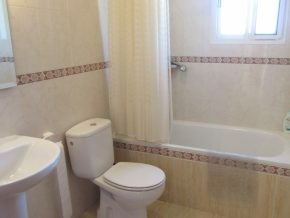 Add a multi-purpose, very attractive swim spa, to complement the jacuzzi, and this could be an excellent house for holiday rentals generating a extra income. The property is located in glorious countryside, with no dirt track and beautiful views. 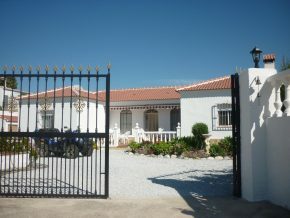 It is not on its own, as there are nearby neighbouring houses, on either side, but it is very private. 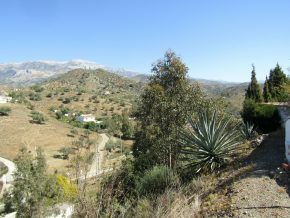 It is under 10 minutes to the main A356 road, giving easy access to both coast and inland areas. As the house is located centrally on the plot of 2544m2, there are gardens on all sides, and all on one level, with a slope to the rear leading to the lower area of the plot. 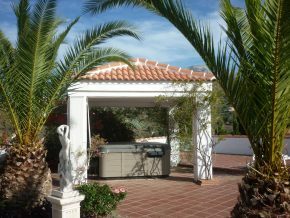 The garden is made up partly of a spacious parking area for several vehicles, and partly of tiled terracing, with ample space for a swim spa type pool (these come in all shapes, sizes and budgets, and can be simply static pools, or adjust to create a bubbling spa, can be heated, or even have options to swim against the current). 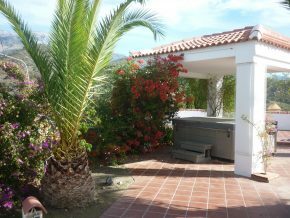 A pretty, tile-covered area houses a fabulous jacuzzi, a little touch of luxury, and perfect for starry Summer evenings! 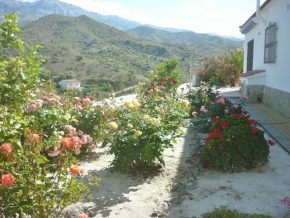 There are also flowering shubs, bushes, a riot of colour from the roses in the Spring and Autumn, and trees including palms and citrus. 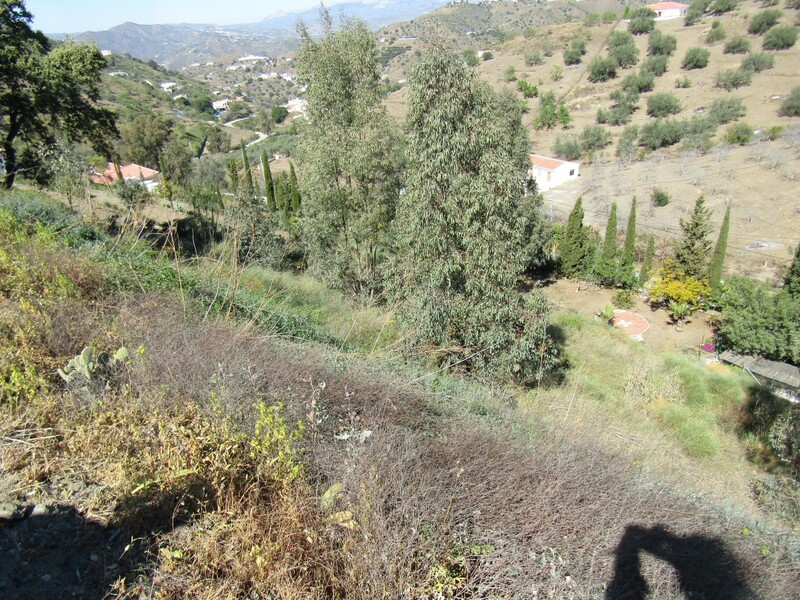 To the rear, the land slopes down and this area could be used to plant fruit trees, almond trees, or even one’s own grapevine (there are vines to the rear of the house too). Built in a U shape, the central front terrace is perfect of outdoor living, eating or entertaining (4 x 6m) with a retractable awning to shade from the sun when required. 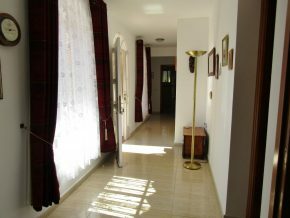 A front door leads into a spacious hallway. 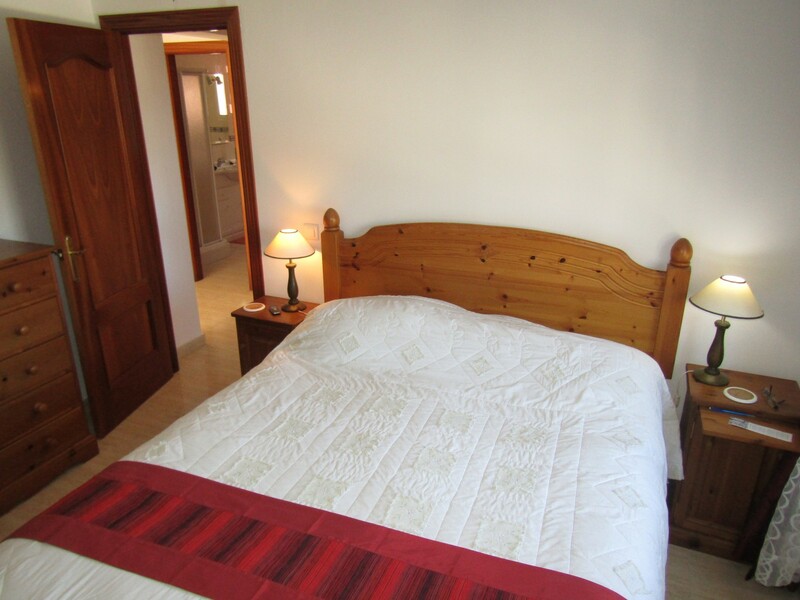 From here, to the left leads to the bedrooms and bathrooms and to the right leads to the fully fitted, spacious kitchen and double doors through to a very impressive living and dining room (9.5 x 4.75m) with woodburner, double patio doors to a rear patio and plenty of natural daylight. 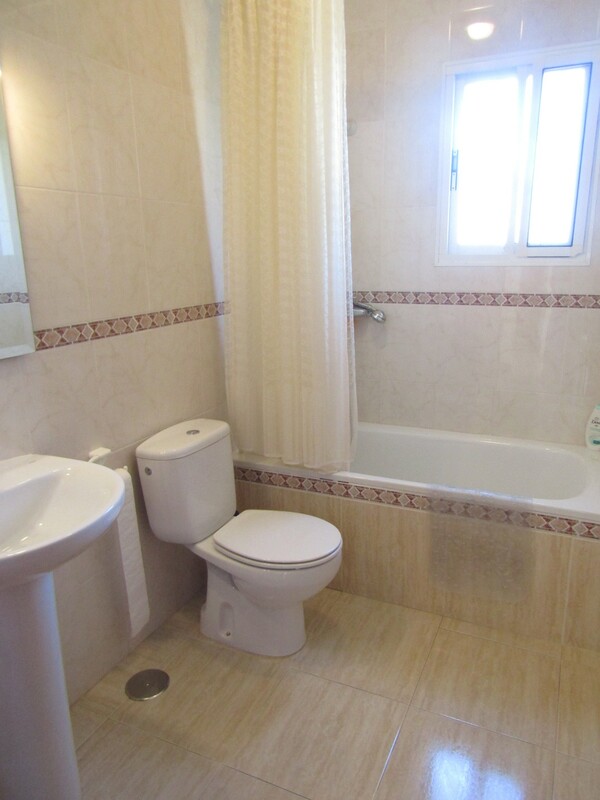 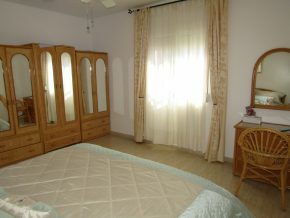 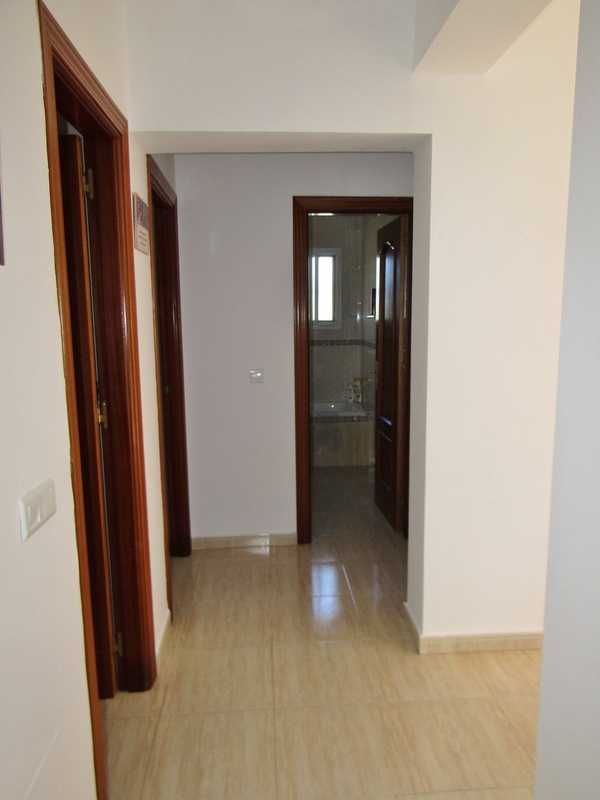 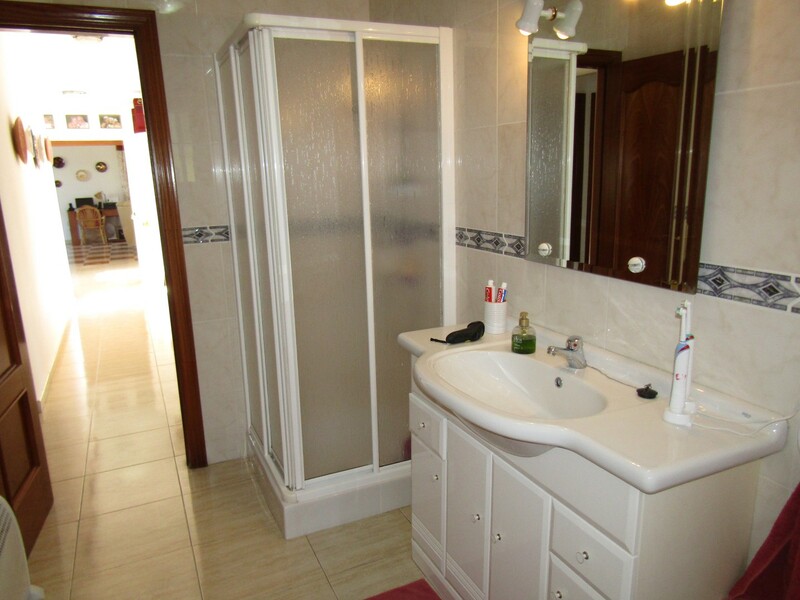 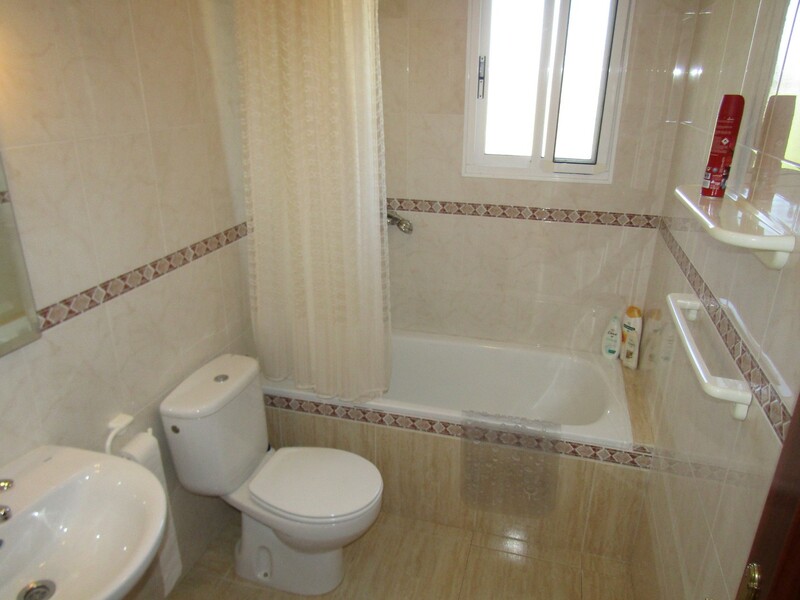 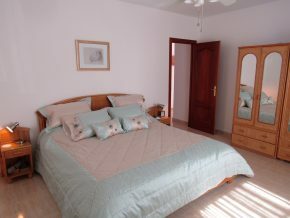 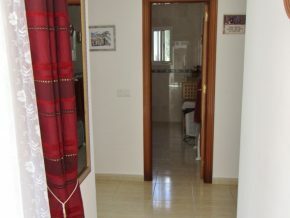 There are three double bedrooms and two very beautiful bathrooms. 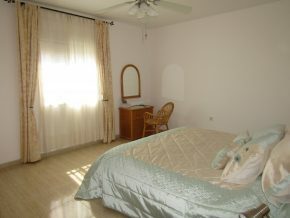 The rooms have ceiling fans and the house is light and airy throughout. 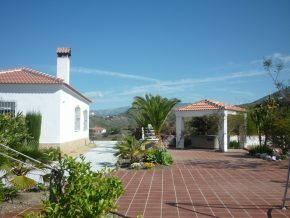 To the far end of the house is the garage, adjoining the bedroom wing of the building, and this area is 24m2. 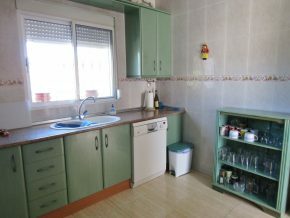 The garage is equipped with two fridge-freezers, washing machine, and dryer and is useful also as a workshop. 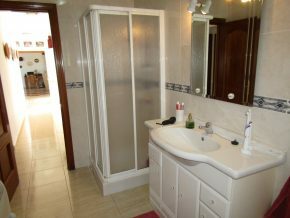 Next to the garage and tucked away, is a convenient drying area. 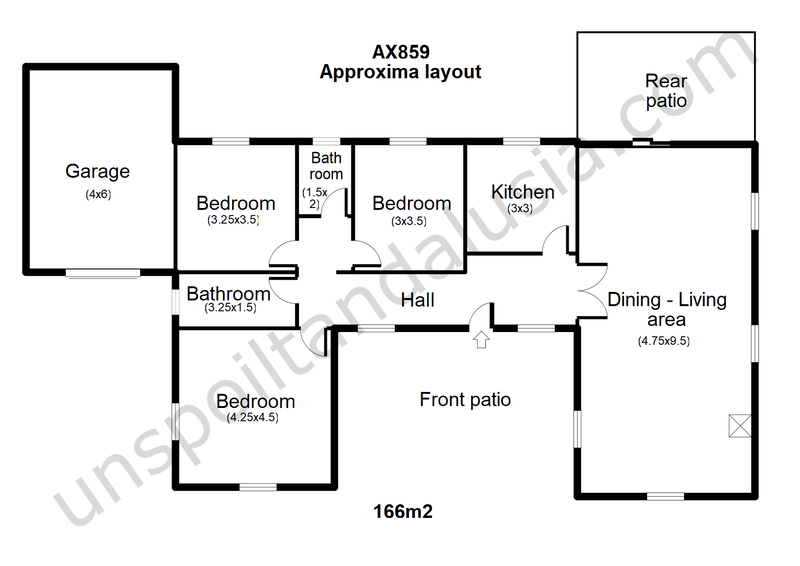 See floorplan below for sizes and distribution. 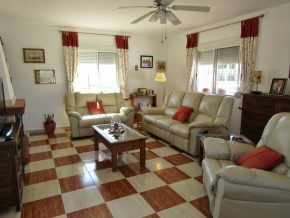 – Council tax/IBI: 390 Euros p.a.